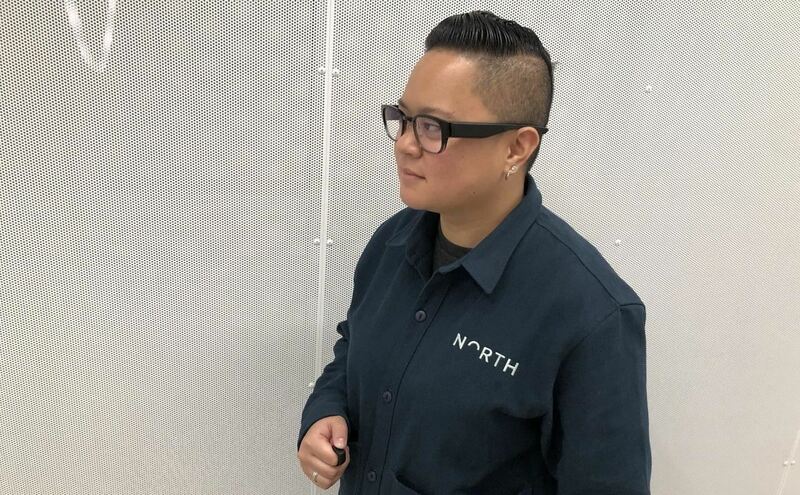 On Tuesday, the smartglasses startup known as North finally took the wraps off its Focals product, but in a very unique way: The team simply opened a couple of stores and invited the public in. The flagship store is located in the quiet, upscale confines of Cobble Hill, Brooklyn, NY, while the other store is located in Toronto. For now, those are the only stores as the North looks to work out its retail process that may see a larger launch in the future. Walking past the store, what you'll see it what looks like a normal eyeglasses store, with large spaces separating the displays of three different styles of glasses. To the uninitiated, you'd never know that the store actually houses what the company hopes will become a mainstream, wearable tech accessory. Once inside, you're greeted by a team wearing North shirts, each checking to see if you've reserved a visit via the company website, or if you're just a walk-in customer (both are welcome). 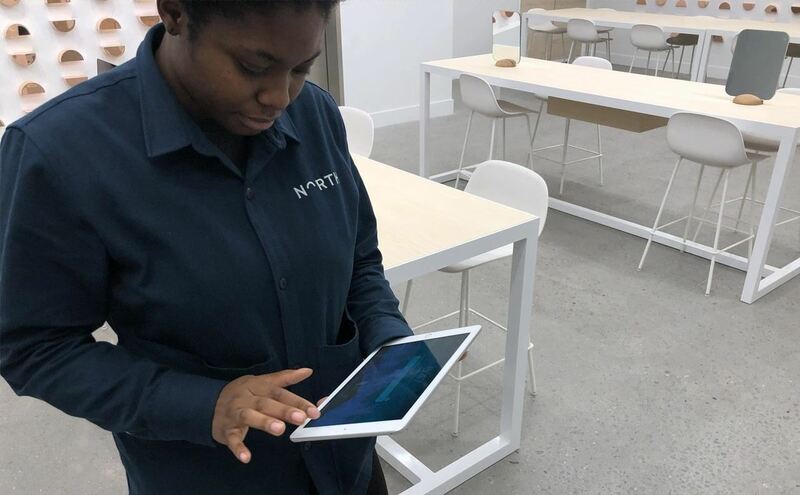 If you're not already signed up on the website, you'll have to undergo a brief sign-up process which is painless, but perhaps something of a hassle if you've just popped in off the street to see what North is actually selling. 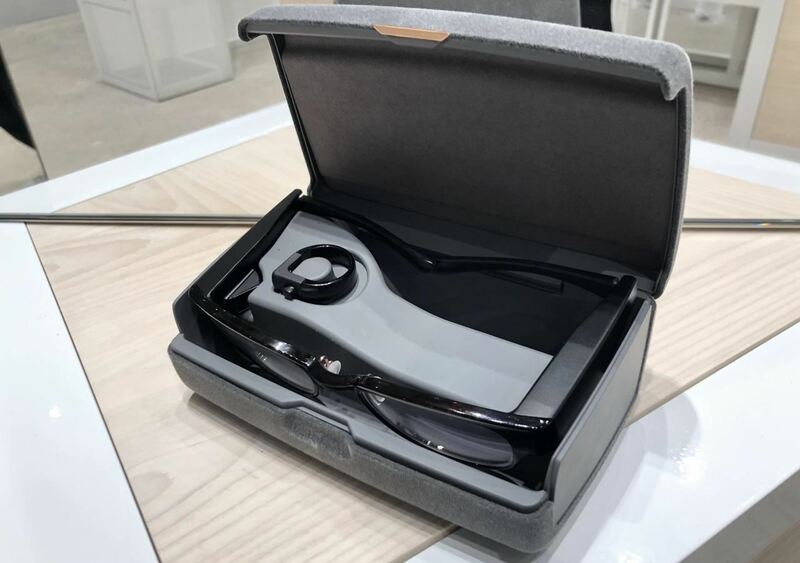 If you want to avoid the set-up process, you can simply walk over to one of the displays and view a projection demo of what the smartglasses offer in terms of visual interface and information. 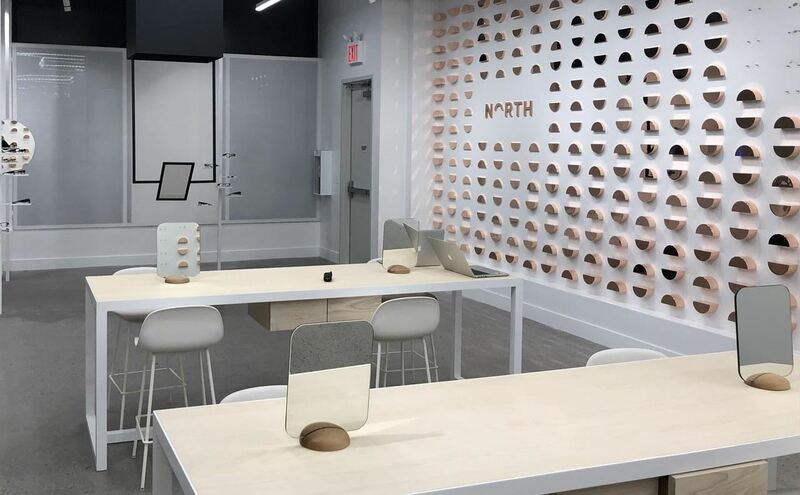 But if you do go through the sign-up process, a team member will then take you to an upstairs level which houses a number a small rooms for sizing, as well as another open space where customers can try on various versions of the Focals product. The sizing process is pretty straightforward: First, you sit in a chair in front of an array of cameras that capture your facial dimensions to determine the correct frame size. The captures are incredibly accurate, as the cameras actually build a 3D model of your entire face. Next, you're sized for the ring controller that's used with Focals. There are eight sizes in all and, according to a company spokesperson, the frames and the ring (which only comes in black) are meant to be unisex, for now. As for the frames, you have an option of black, black with a slightly translucent fade at the bottom of the frame, and a tortoiseshell design. And if you're not interested in walking around in what look like a normal pair of specs, Focals also come with clip-on shade attachments in two different styles that look surprisingly fashionable. Ok, now that you've gone through the sizing and the frame selection, the only thing left is the experience. What's it like? Well, while I wasn't necessarily blown away by the display. It's similar to what I've seen in some enterprise-focused products in recent months. 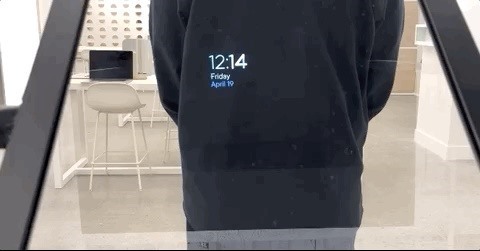 Nevertheless, I think this is a fairly solid start for baseline, fashionable smartglasses with real utility. The glasses, which use a tiny projector on the right inside arm of the frame to beam the interface visuals in front of your view, are lightweight, and when in use there's absolutely no indication to outside viewers that you're looking at a visual interface. Also situated on the arm of the frame is a tiny speaker that pumps out audio prompts when you're scrolling through the system to do things like check the weather, check your calendar, or respond to a text message (and yes, you can send back emojis). The surprise feature I wasn't expecting was the presence of Alexa, which you summon with a long push of the button on the top of the ring controller. Once Alexa is initialized, you can ask a wide range of questions verbally to get answers and information without looking at your smartwatch or checking your smartphone. 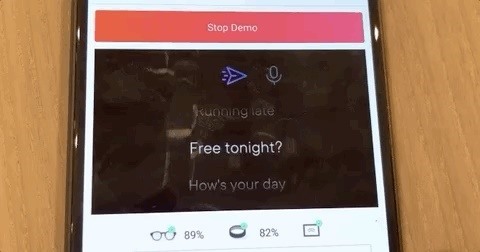 During my demo, I wasn't able to use a final version of the smartphone app that connects to Focals via Bluetooth to provide all the notifications and information. But if the final version of the app works as it did when I tried it, I can say that it performs well. 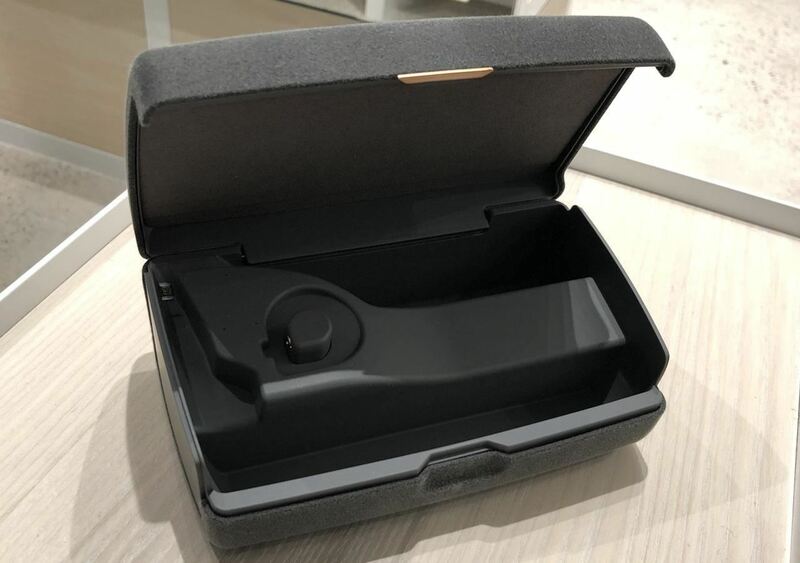 A company spokesperson claims that the battery life is between 16 to 18 hours for both the frames and the ring controller, and when you need to power them back up you just pop them into a handy carrying case that doubles as a charger. Overall, I was impressed by just how good the frames look, both in clear frames mode and with the shades attached. These are the kind of frame many people would wear even without a smartglasses component. And while the arms on the frames hint at electronics inside, they're crafted in a way that doesn't immediately give away the fact that they're anything more than normal frames. Currently, prescription lenses aren't available, but the company plans to offer that option in early 2019. The visual experience itself wasn't something I could see using daily, mainly because the interface and imagery were small, somewhat blurry, and at times I felt that I was forcing myself to look toward the center of the frame in an unnatural way. This worried me about possibly crossing my eyes (or looking like I'm crossing my eyes to onlookers) while using the device. However, one of the on-site opticians claimed that this was likely because I didn't go through the entire fitting process as I should have and that a more tailored sizing might yield better results. I was surprised by how quietly the company decided to launch the product until I found out about the price: $999. That's a steep price tag for an accessory that, at this point, provides the same kind of smartphone-connected notification utility that you can find on a $200 smartwatch. 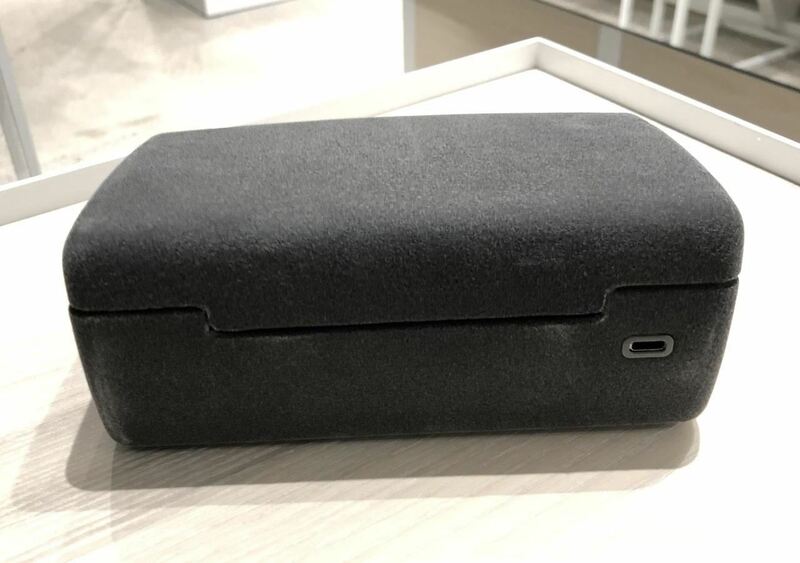 But, based on the style of the stores (think Warby Parker but for smartglasses), and the elaborate purchase process (after fitting, you wait eight weeks and then have to come back into the store to pick up your Focals), this is probably targeted toward a relatively exclusive, early adopter group. 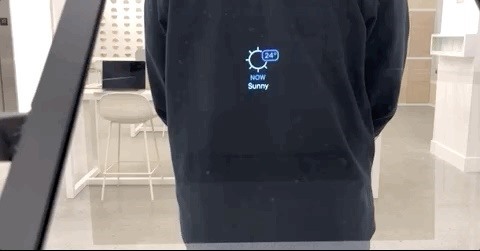 So while I don't expect to see masses of New Yorkers and Canadians wearing these this winter (mostly because of the price and purchase process), if there "is" interest in this kind of smartglasses product, this is probably one of the best executions on such a dynamic I can think of coming from an unknown startup. If you were wondering when the smartglasses wars might begin, you can stop waiting, they're here, at least in two locations on the planet.